Welcome to Samsung. For over 70 years, Samsung has been dedicated to making a better world through diverse businesses that today span advanced technology, semiconductors, skyscraper and plant construction, petrochemicals, fashion, medicine, finance, hotels, and more. Our flagship company, Samsung Electronics, leads the global market in high-tech electronics manufacturing and digital media. 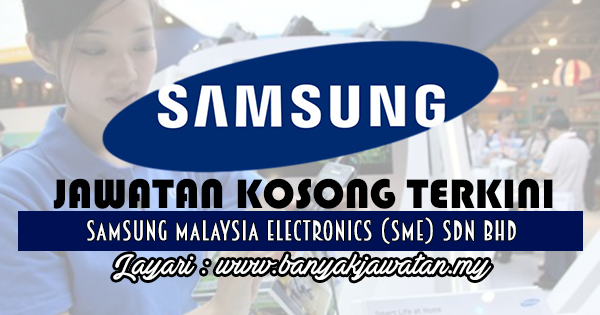 0 Response to "Jawatan Kosong di Samsung Malaysia Electronics (SME) Sdn Bhd - 4 March 2018"